If your MOT station has failed your classic car or issued an advisory note for a split or damaged track rod end boot, this video tutorial will give you a step by step guide on how to replace it. 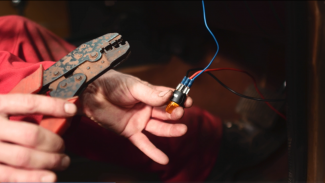 Ed Hughes will show you the tools you need for splitting the ball joint taper, as well as hints and tips on replacing and securing the rubber boot. He also talks though what to do if that stubborn nut or bolt refuses to budge! 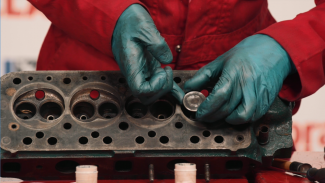 Once you’ve removed the cylinder head from the engine block, it’s necessary to dismantle the head to properly assess its condition and decide the next course of action. 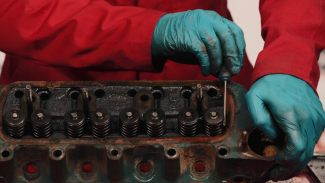 Ed teaches you how to search for any damage on the surface, including to the valves, head and copper sealing rings and the head gaskets, and then takes the head apart to have a look at each of the components inside.